Weesh, an iOs relationship app for long-term couples, is one of the startups completing Dreamit’s summer incubator. 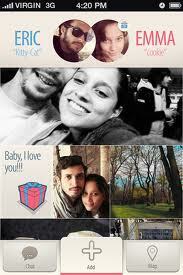 Weesh allows users to find and share new date ideas, and creates a photobook of the couple’s good times. Users can spot an interesting new restaurant or see a trailer for a movie, and then they make a “weesh” sharing that desire with their significant other. Weesh supports adding a location, sharing a link, a photo, or just entering text of something you’d like to do with your sweetheart.This is social sharing at its best — no spamming 500 Facebook friends with mushy messages, just telling your sweetheart you saw something fun and thought of them. This creates a list of the couple’s potential Weeshes, closing the gap between seeing an awesome new sushi place on Tuesday afternoon, and then ending up going to the same places on the weekend that you always go. Weesh also offer suggestions for dates, based on place and interest, a bit like another dating start-up app Datini. Weesh is free for couples to use, and plans to monetize with partnerships with date locations and related shopping. The most charming part of Weesh is the couple’s photo timeline. This begins as a stream of couple photos, pulled from Facebook, and then grows as the couple snaps cute pictures at events. Again… a perfect stream to have on your smartphone for trips out of town (Or boring meetings. Or boring lectures. I’m just saying. ), and you can view it without subjecting all your Facebook friends to mushy pictures every day. Although Weesh is described primarily in terms of the date-sharing activities, I think the photo album is such a lovely aspect. Reviewing good memories strengthens relationships, and having a stream of great memories on the smartphone is so immediate. Such a lovely modernization of the wedding album, scrapbook, or mantelpiece pictures! Weesh is currently available for iOs here, with an Android app planned.